We love the whole-food nut cheeses available at the supermarket, but the price tags often lead to sticker shock. Luckily, nut cheese is easy to make at home with pantry staples and a bit of patience. 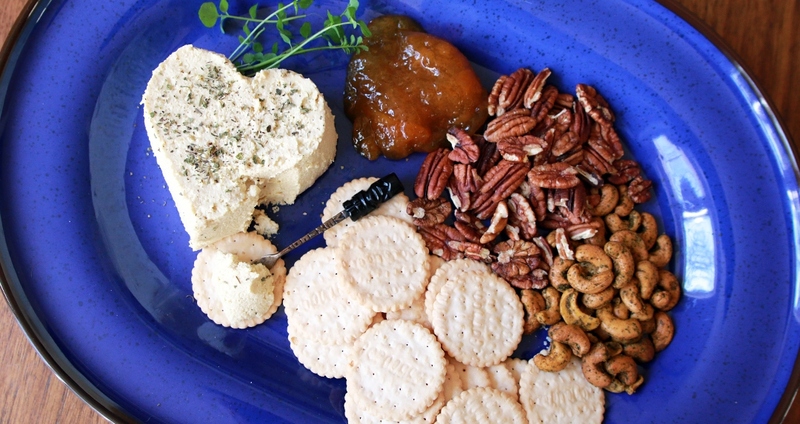 We love serving this cheese with nuts, whole-fruit jam and gluten-free crackers. Or folding it into garlicky pasta, plopping a dollop atop a taco salad in lieu of sour cream, or spreading it on a bagel for a cream cheese substitute! Once you’ve mastered the basic recipe, feel free to experiment with adding fresh or dried herbs, spices, or rolling in nuts and dried fruit. Cover cashews with water and soak overnight. In the work bowl of a food processor, add cashews and the remaining ingredients and blend until well combined and creamy, adding more water as needed to reach desired consistency. You may need to scrape down the sides of the food processor to incorporate everything smoothly. The finished cheese should look like a thick hummus. Taste and add more lemon juice, garlic, salt and onion powder until it tastes delicious. Pack cheese into a mold or jar and refrigerate overnight.